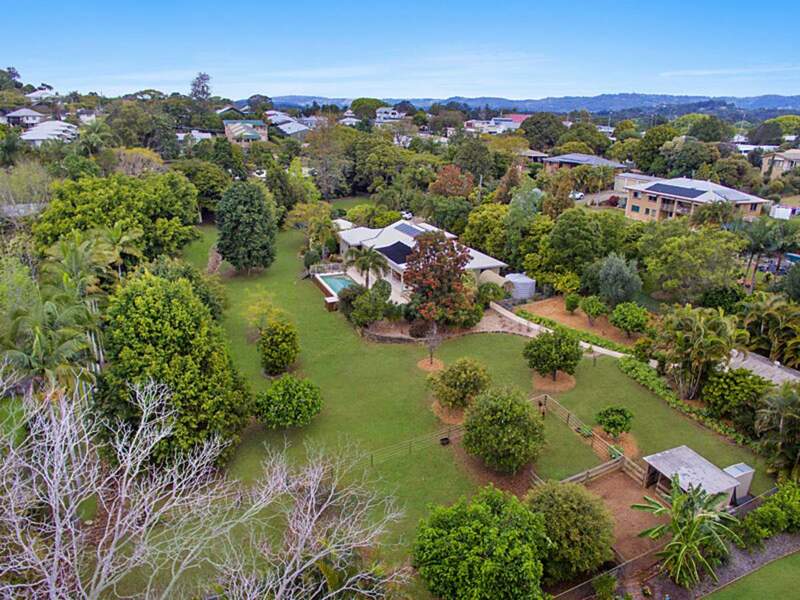 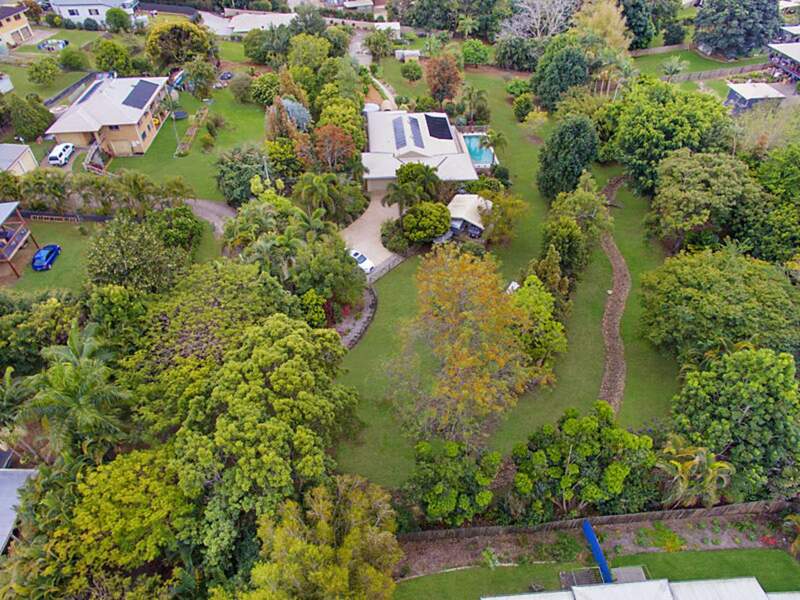 The epitome of ultra-private, stylish acreage living, this sprawling residence occupies a manicured 7,337sqm within 450m walk to the heart of Woombye. 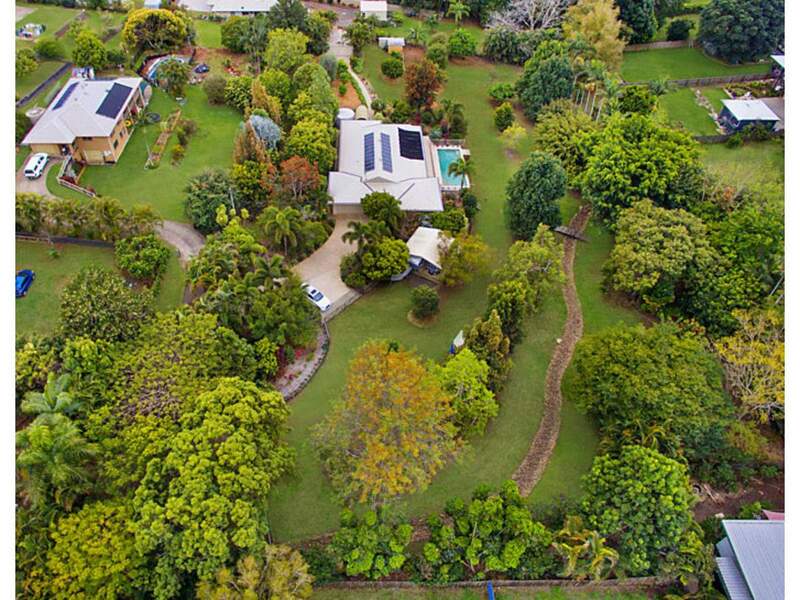 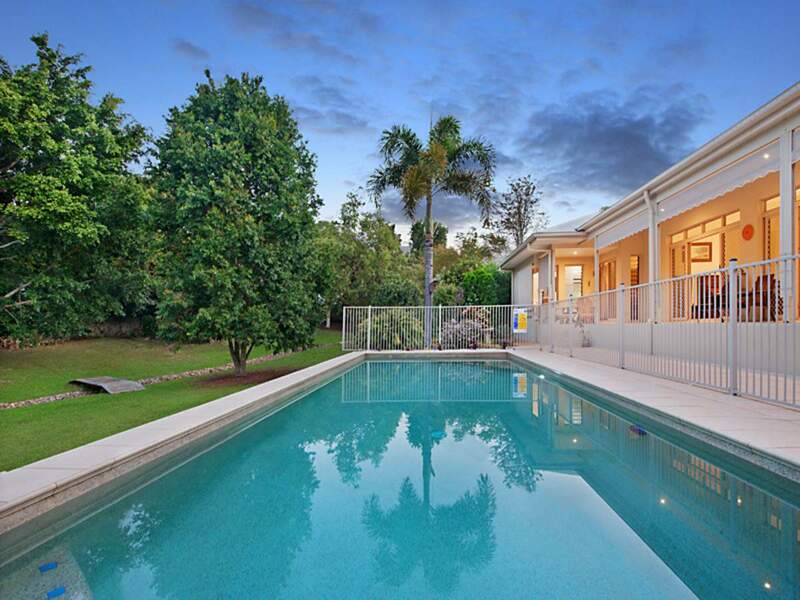 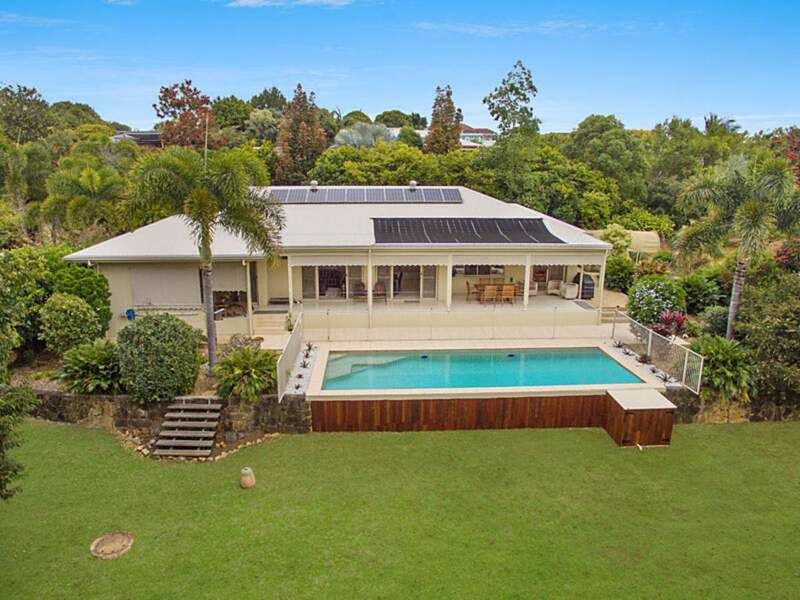 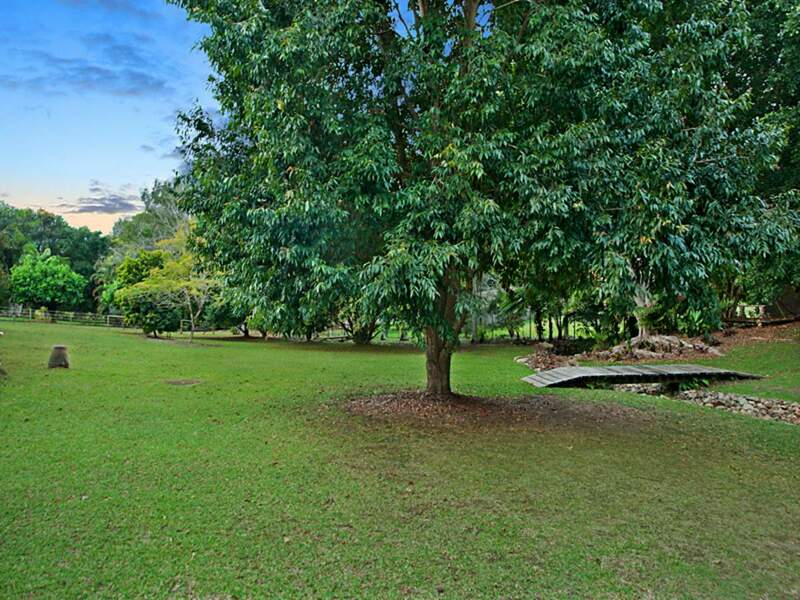 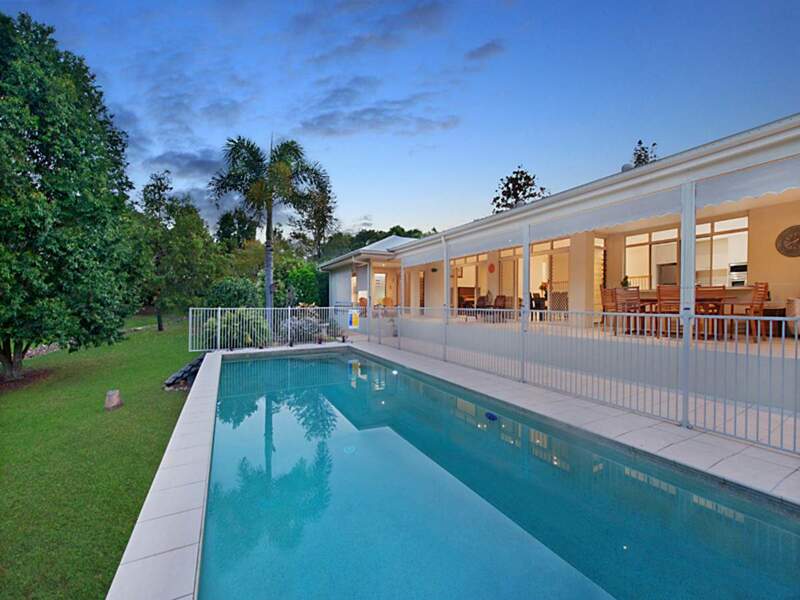 A veritable oasis with every desire catered for, the property’s parklike surrounds include a meandering seasonal creek with quaint bridges and walkways, an orchard, 10m heated, saltwater pool and horse paddock. 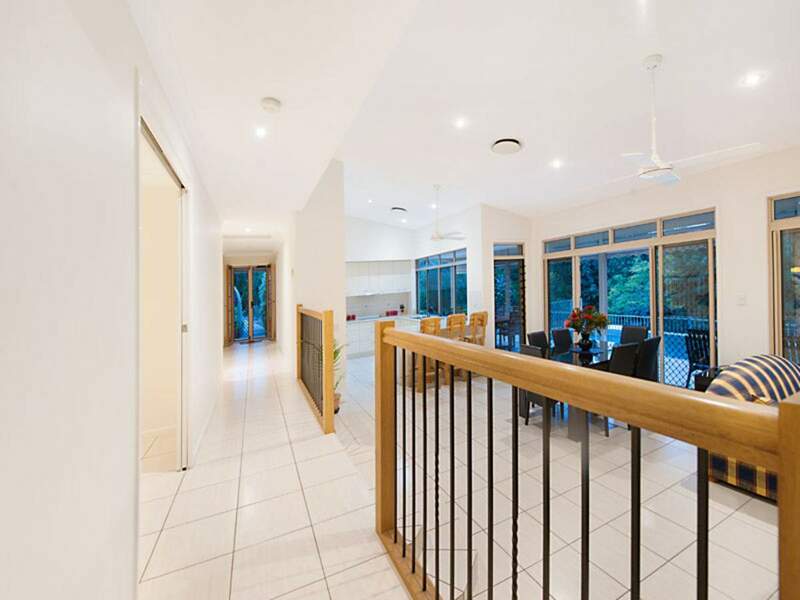 Elegant in every way with soaring ceilings and neutral, freshly-painted decor, the split-level residence with ducted air-conditioning has been designed to embrace the picturesque setting from every room. 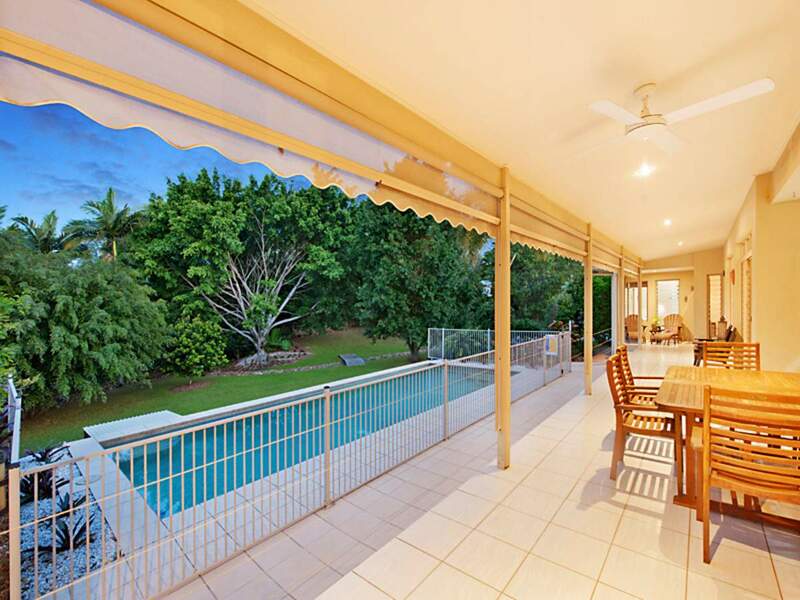 With a focus on space, comfort and easy transitions to the great outdoors, the bedrooms have been placed on either side of the light-filled living zones that extend outdoors to a covered, tiled entertainer’s patio overlooking the sparkling pool and lush green views as far as the eye can see. 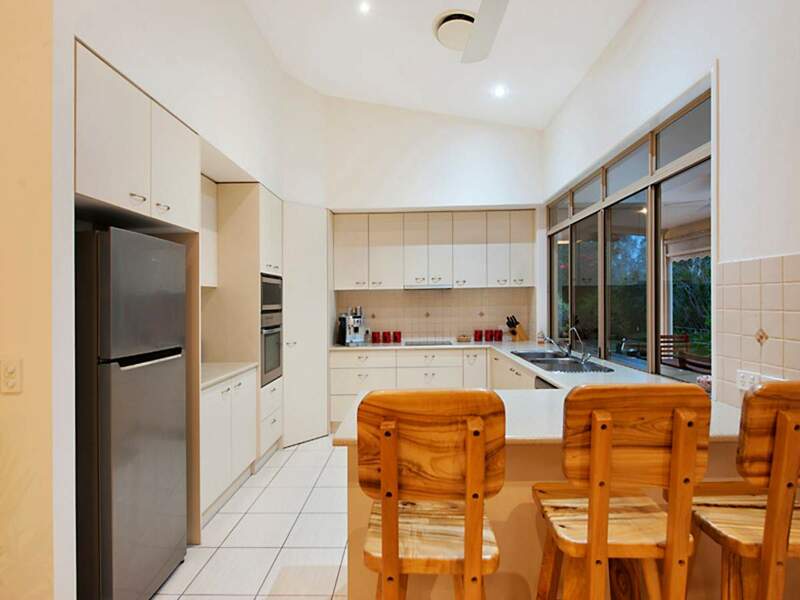 The well-designed kitchen includes quality appliances, dishwasher, large pantry, breakfast bar and servery window to the patio. 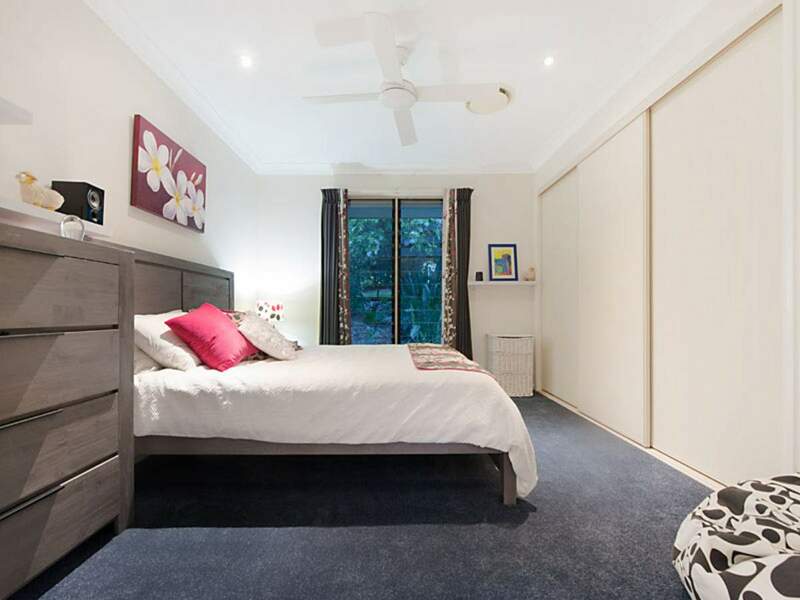 There are three spacious bedrooms, sunroom plus an office and depending on needs, the sunroom could easily be converted in a comfortable fourth bedroom. 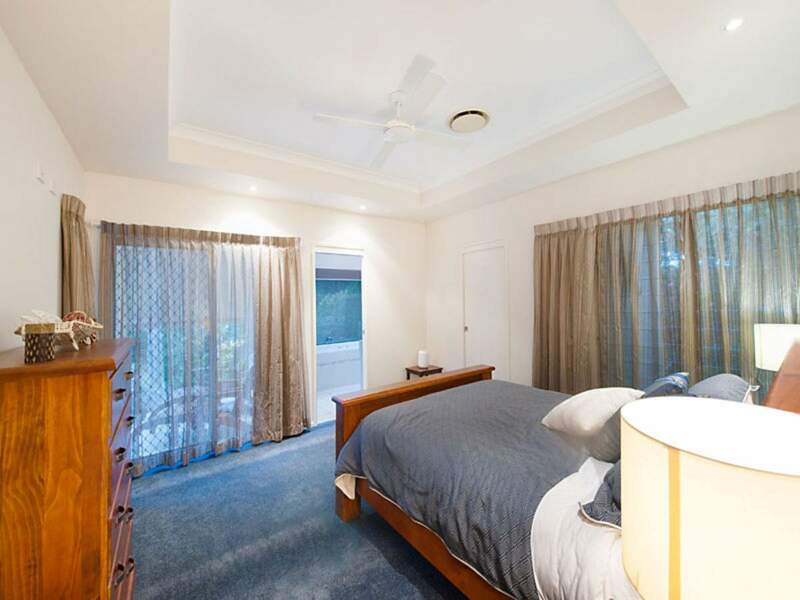 The master bedroom has excellent separation and privacy and opens directly onto the patio. 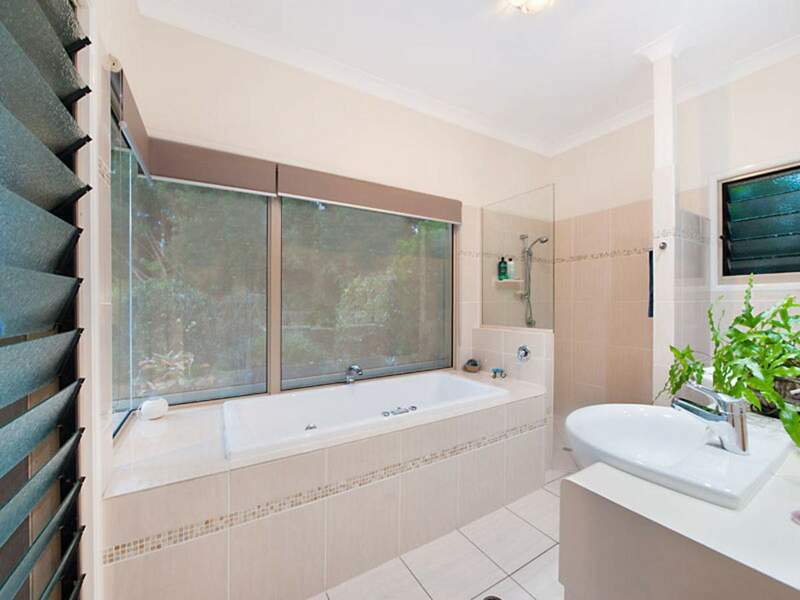 It includes a sumptuous shower and spa with stunning green views, dual vanities and a walk-in robe. 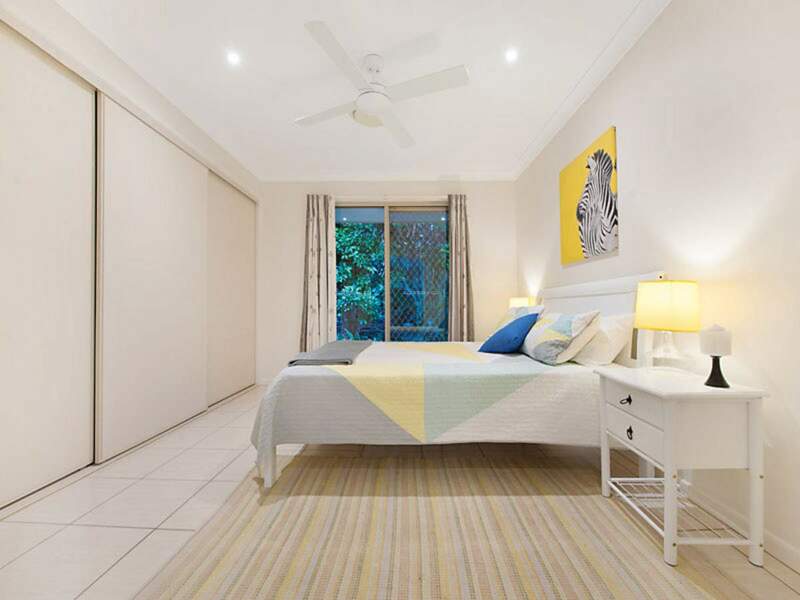 The remaining bedrooms, sunroom and office include ease of direct outdoor access, built-in robes and the use of a large family bathroom with oversized shower and bath. 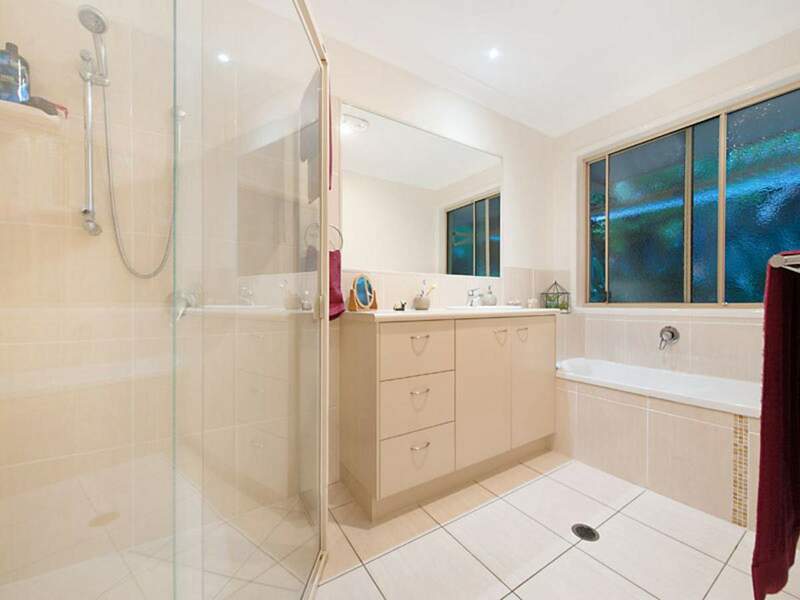 There is a guest toilet, ample storage throughout and a well-equipped laundry. 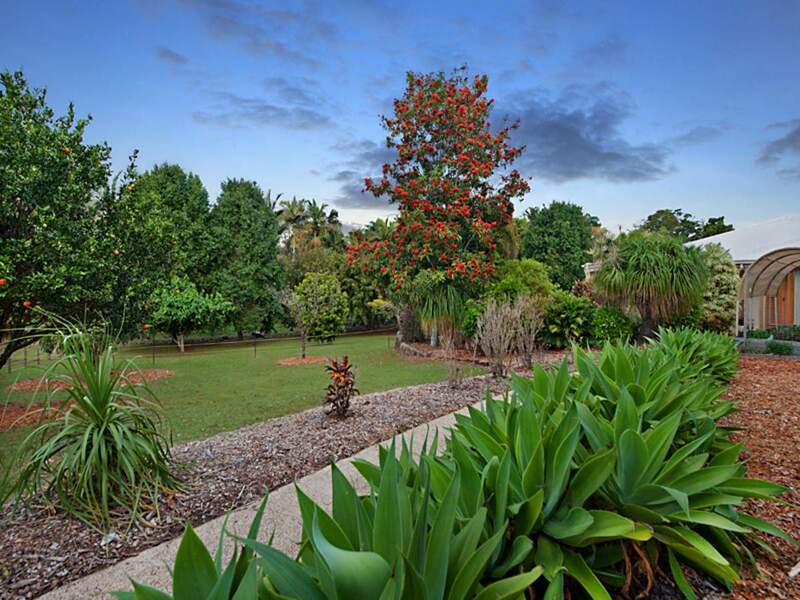 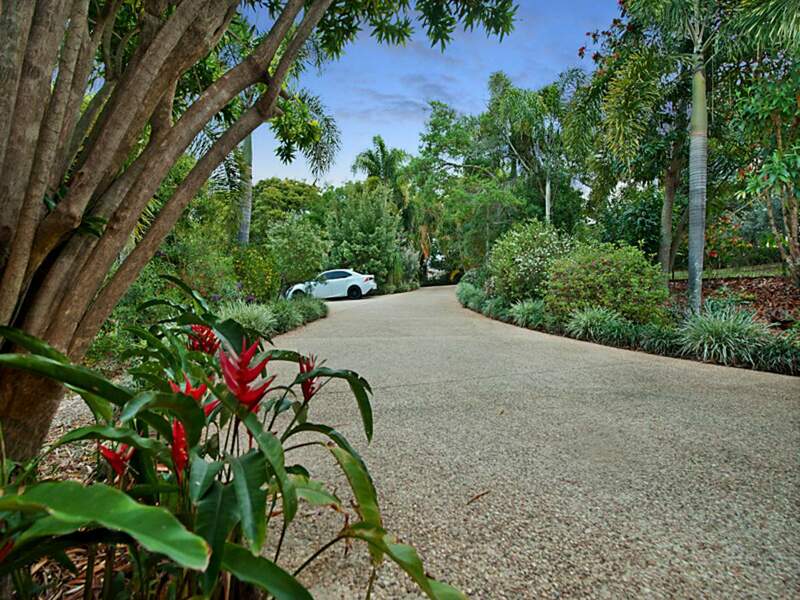 Incredible effort has gone into establishing the lush, tropical surrounds that is serviced by a bore. 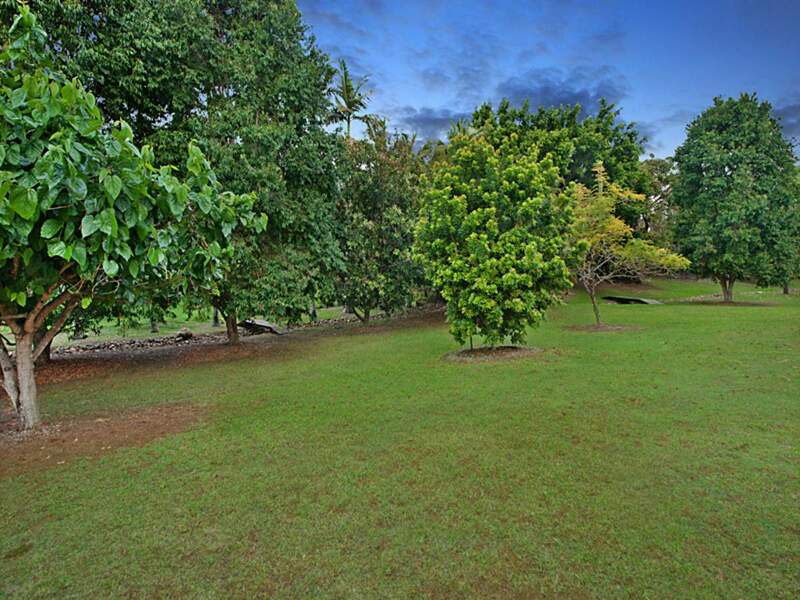 The variety of fruit trees include mulberry, avocado, paw paw and a range of citrus. 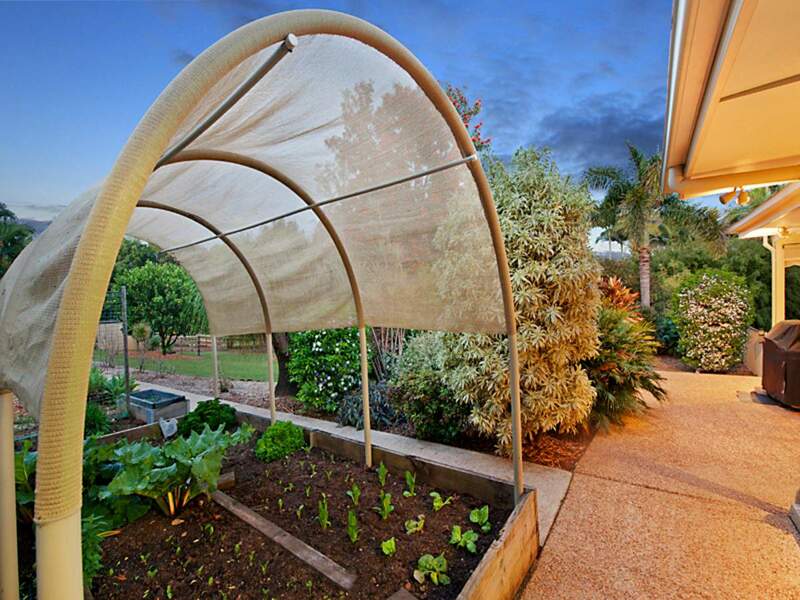 There is also a vegetable garden. 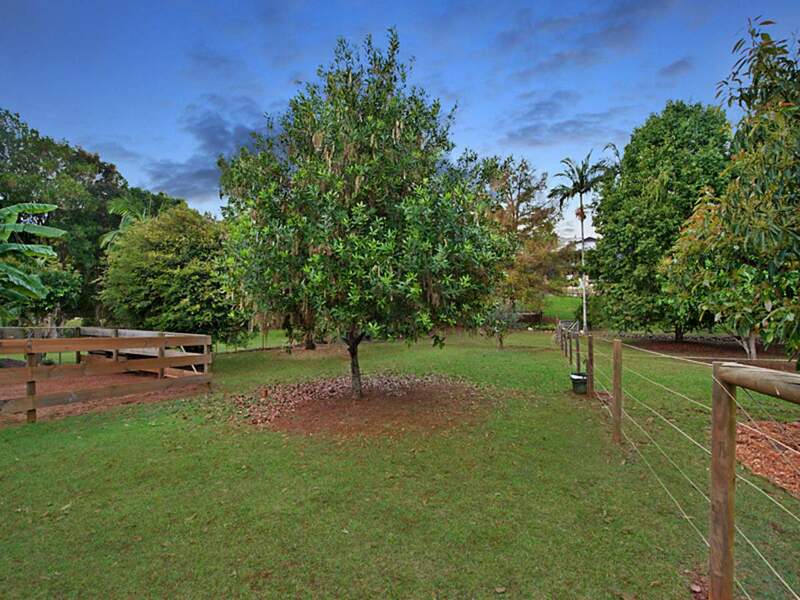 Fully fenced for dogs, it features a 6x6m shed, two water tanks and the use of town water. 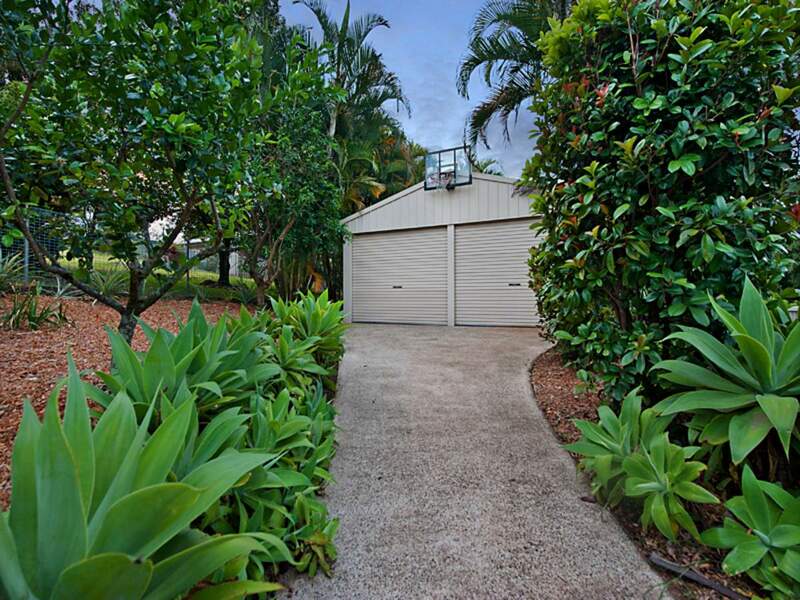 There is a double remote garage with roof storage and high-set double carport. 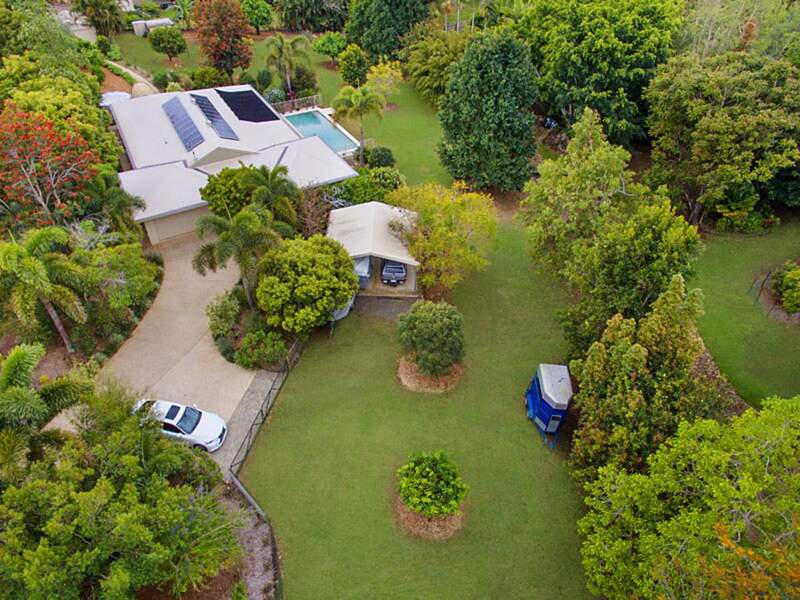 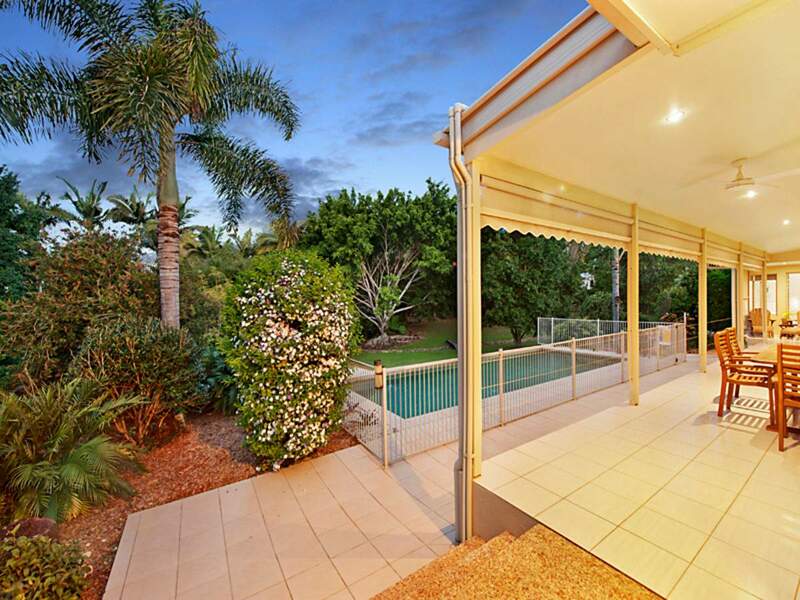 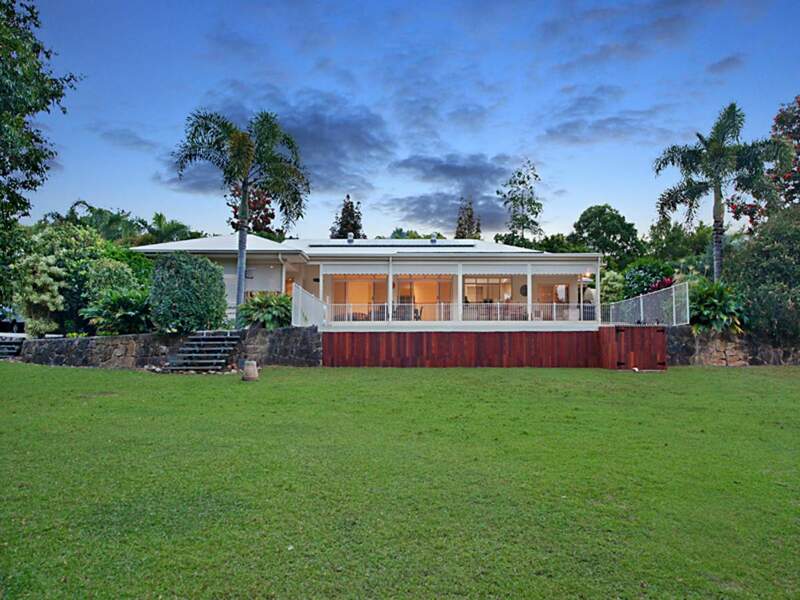 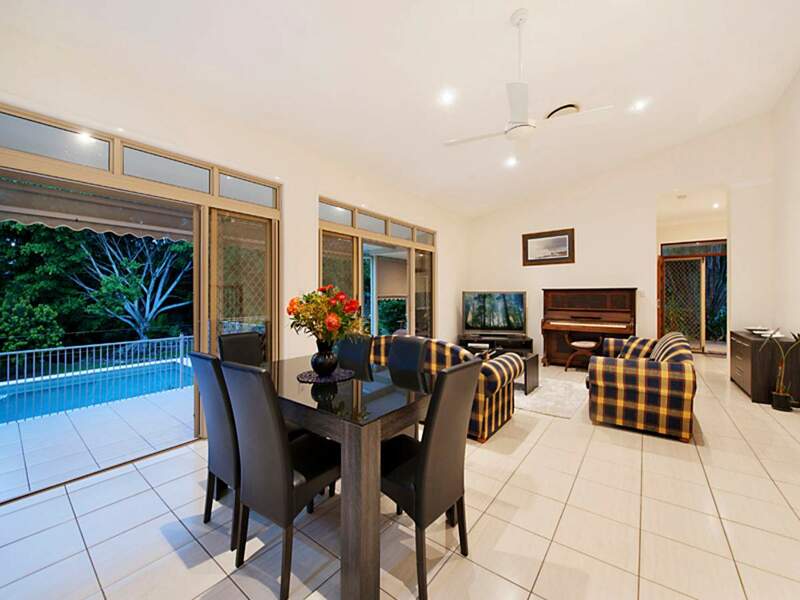 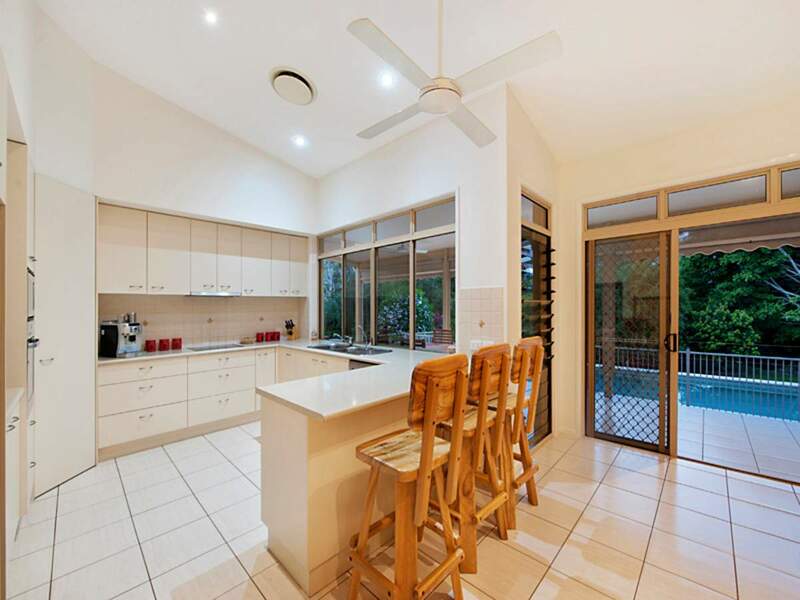 Families of any stage and age to active retirees will appreciate this home for its extraordinary seclusion so close to the village and everything else the coast and hinterland has to offer. 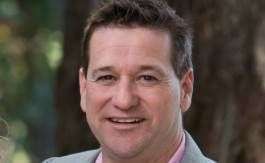 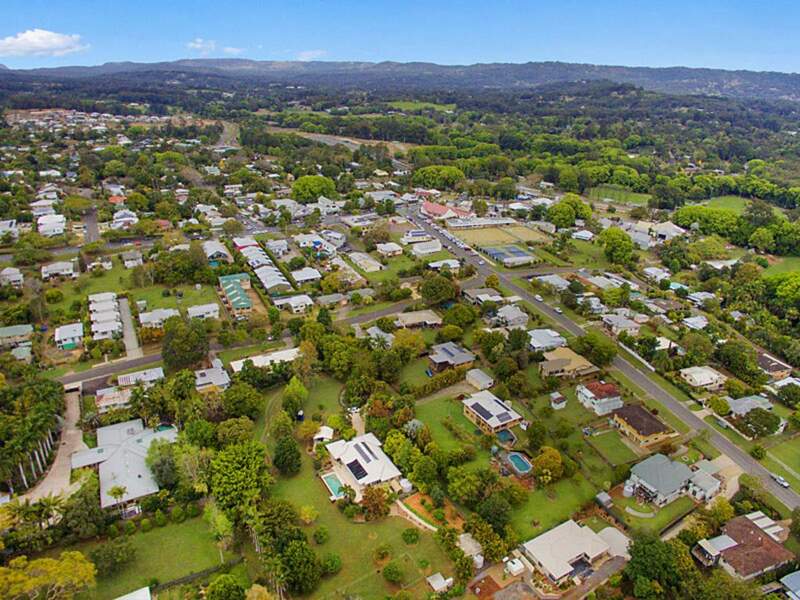 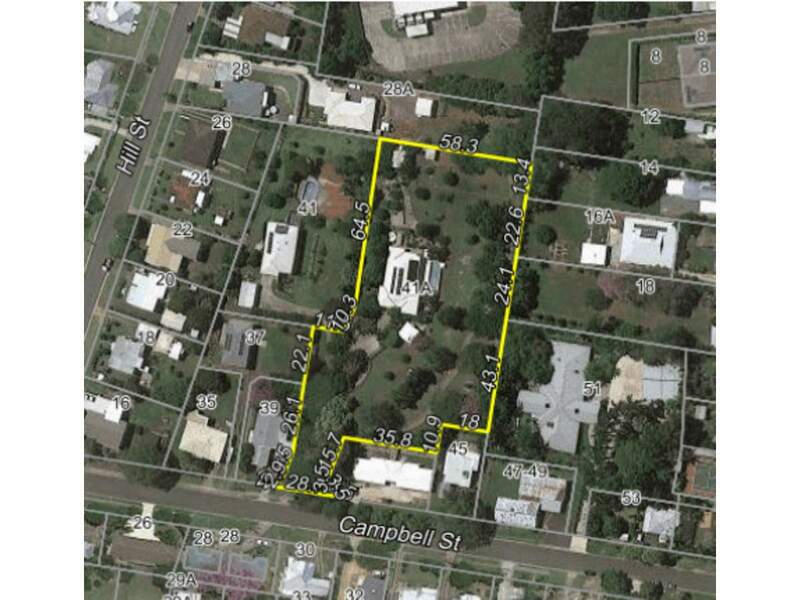 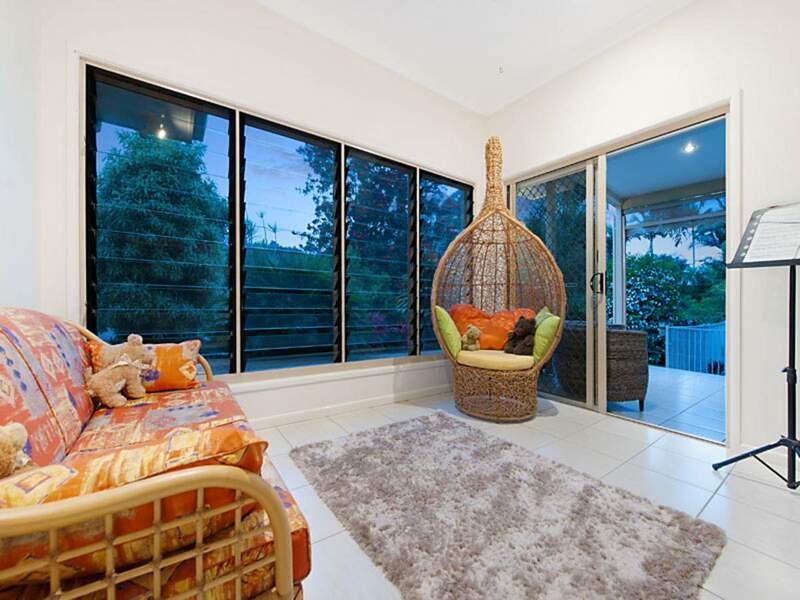 Within 450m to Woombye village it is also five minutes to Nambour and Palmwoods with the Bruce and Sunshine Motorways within quick reach. 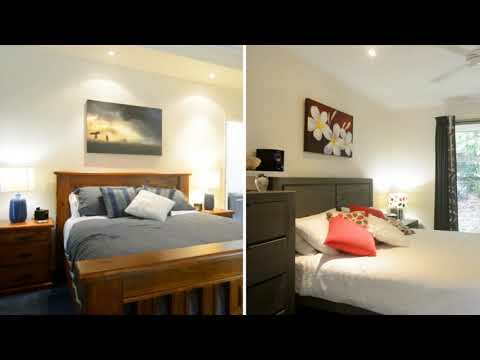 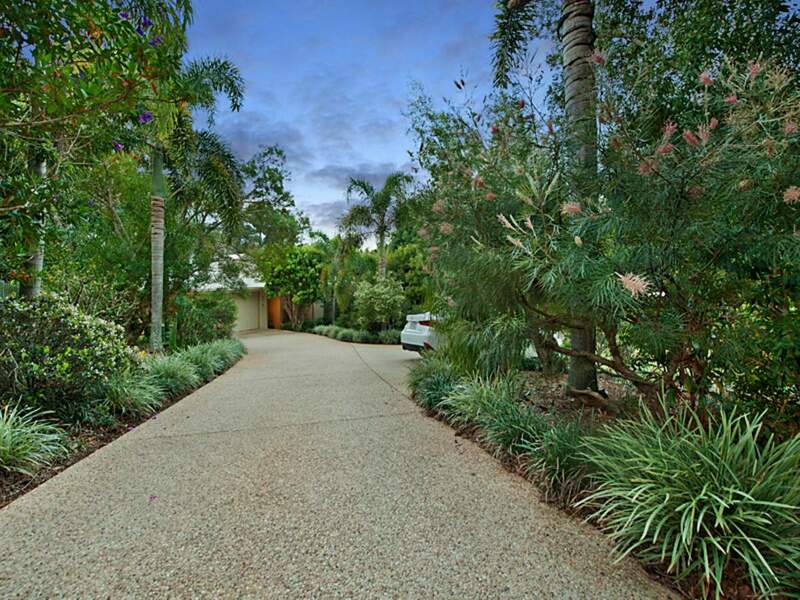 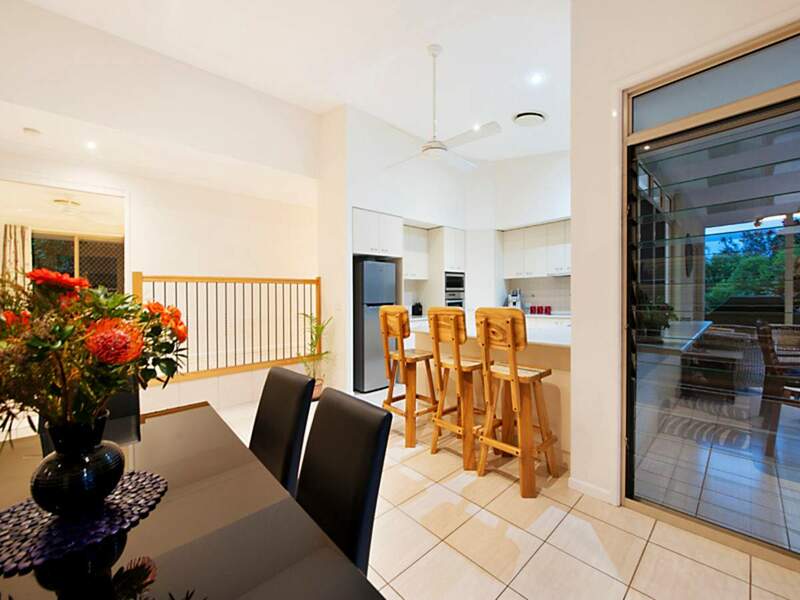 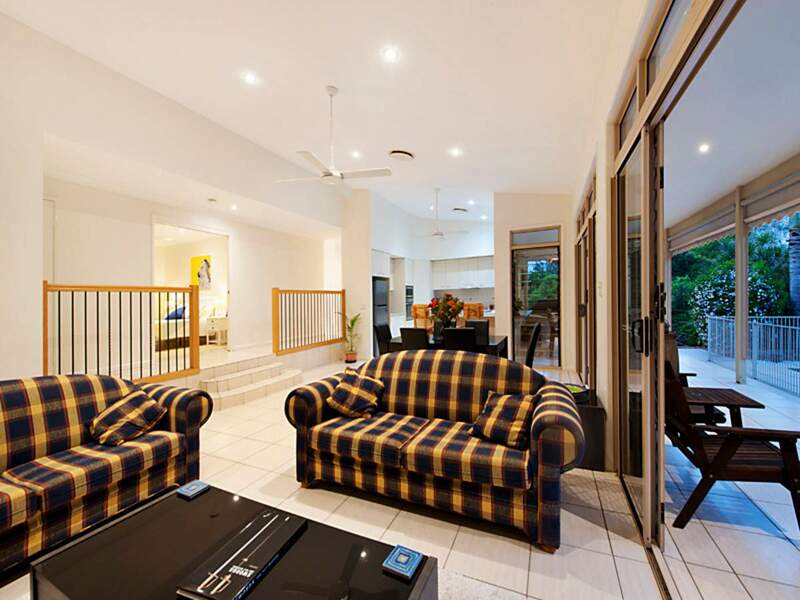 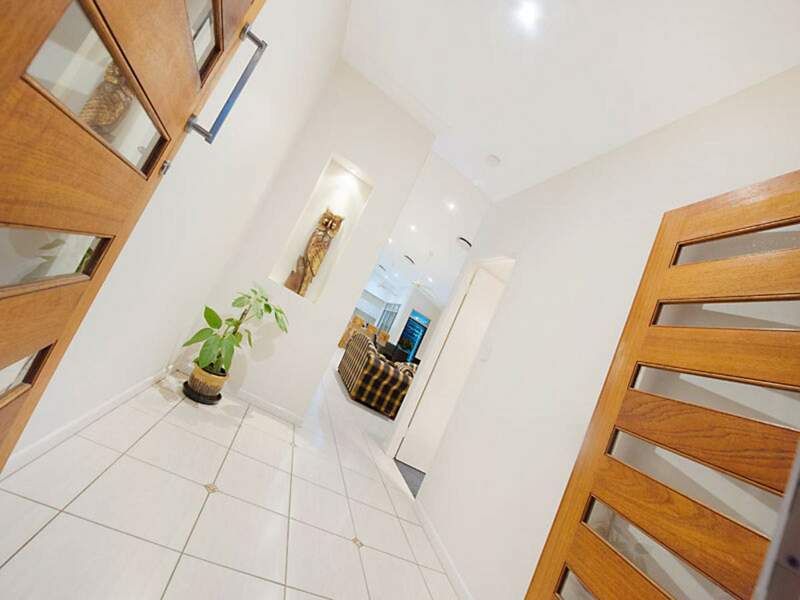 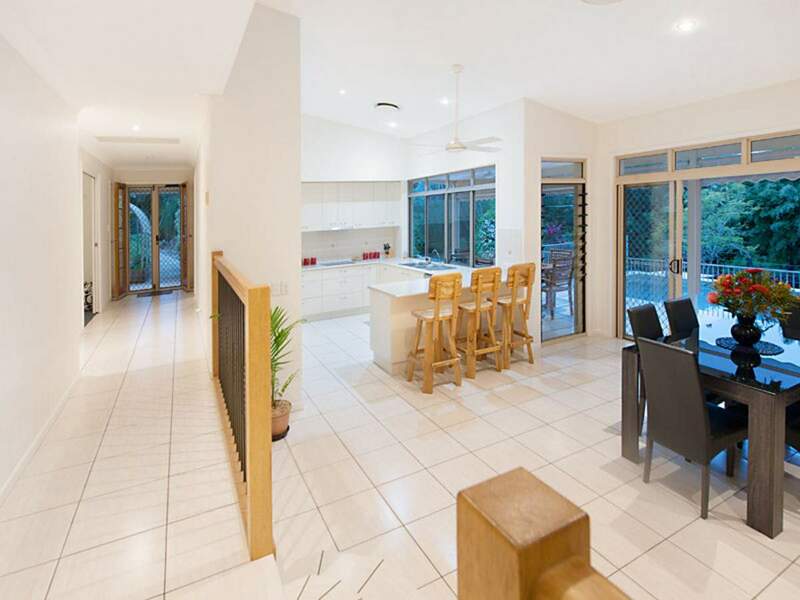 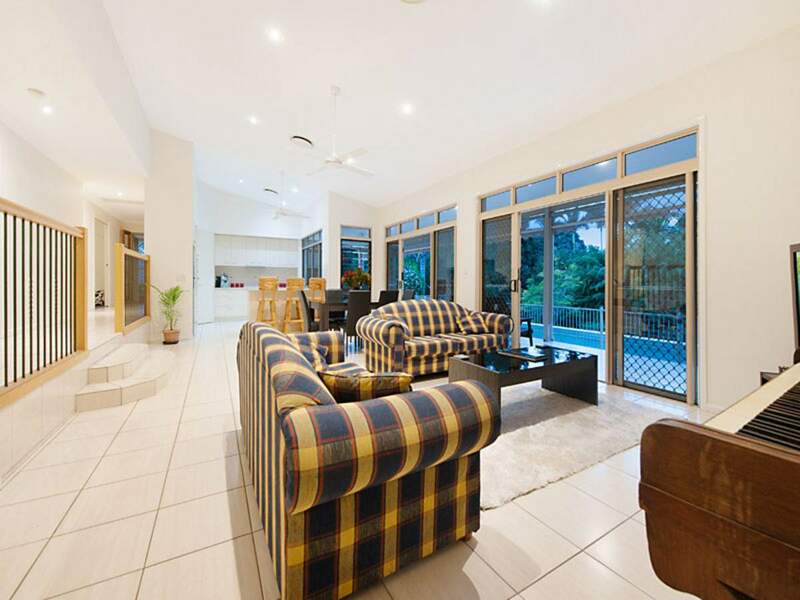 It is also close to elite schools, cafe’s, medical centres, hospital and entertainment venues.